While we have kept in touch with Kurt Stockbridge from Skechers, it has been a few years (6 to be exact) since our first Q&A with the man leading up the charge for Skechers Performance. Kurt is passionate about the Skechers Performance line and has spearheaded the growth of the product line for top-notch athletes. 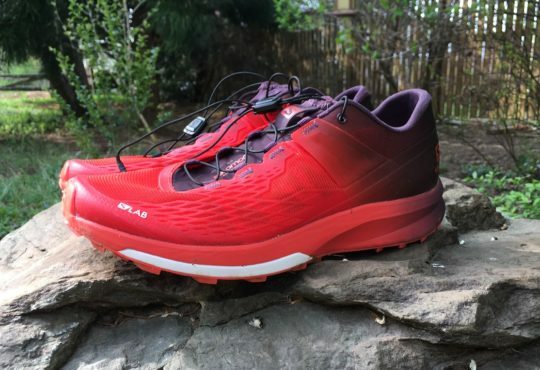 Recently Kurt contacted me about a shoe that Skechers Performance is only producing for their elite athletes and asked if I wanted to try it. I don’t recall my exact response, but it was something like “F@$k YEAH!” If my mother-in-law is reading this, I am sure it was more like “gosh, that’d sure be great!” Check out the video review at the bottom of the post for a better look at the Speed Elite 6 aka Speed Elite Hyper. Along with trying out the shoe, I wanted to learn more about what Skechers is doing with their elites. Kurt graciously agreed to do a little Q&A (again). Thomas: What is the Skechers Elite program? 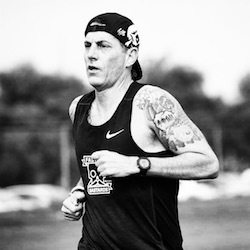 Kurt: It’s a select group of runners, golfers, and triathletes who we sponsor and outfit with Performance footwear and apparel. We provide products that are uniquely tailored to the needs of each athlete. It’s an important program for us as these athletes help us make a better product by giving direct feedback through wear testing. In the end, they’re competing in the footwear and apparel that they helped us create. And for consumers, this program means you can expect that when you purchase Skechers footwear or apparel, it’s already been fine-tuned thanks to the real world experience of our Skechers Elite athletes. Thomas: How can athletes apply? Kurt: We seek out and invite top talent and athletes who have demonstrated strong potential in their field. 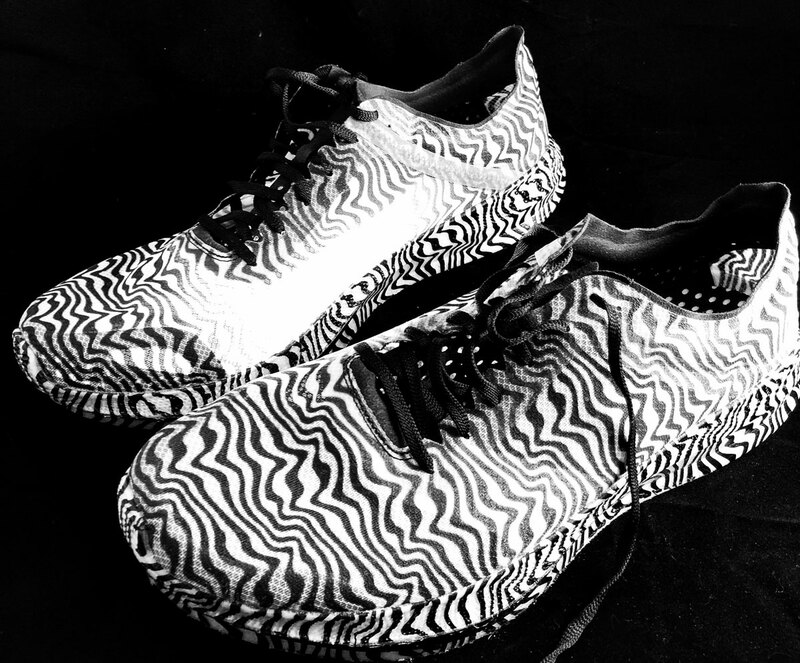 Some have been with us since the beginning and have helped shape what the Skechers GOrun line is today. Thomas: What was the thought process behind the GO RUN Speed 6 Elite™ (to be renamed Speed Elite Hyper), why did the team develop this shoe? Kurt: From the start, we wanted to compete with the best distance racing flats currently on the market, and knew we could thanks to our new and innovative Hyper Burst™ foam plus lightweight mono mesh. The driving focus was to minimize weight while maximizing stiffness and resiliency. The biggest challenge we overcame was developing a new plate design to hit our forefoot stiffness target from a strength to weight perspective. 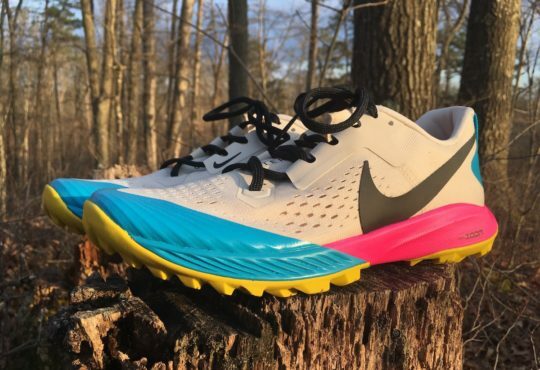 Thomas: Were any new materials created specifically for the Speed 6 Elite? Kurt: Our goals for the Skechers GO RUN Speed 6 Elite™ really drove the development of our new Hyper Burst™ compound. Through biomechanical testing, we discovered reducing weight was the most influential variable affecting running economy. 15% lighter and 10% more resilient than our Flight Gen™ compound, our low-density Hyper Burst™ foam helped us to reduce the shoe’s weight and was the obvious choice for the model. Thomas: Can you break down the shoe and describe the choices your team made to design the Speed 6 Elite? Why Hyper Burst, carbon plate, etc.? We focused on weight, resiliency, and stiffness to maximize running economy for the Speed 6 Elite. The trick was putting material and structure only where needed and removing where it is not. We also knew we had to get more out of the materials we chose from a strength to weight ratio. An example of this is the carbon fiber plate we used for the Speed 6 Elite, which is lighter but stiffer than earlier plates we tested. Thomas: What type of results are athletes getting out of the Speed 6 Elite? Kurt: Several athletes have tested the Speed 6 Elite and loved them. Many reported the pair was unlike anything they’ve worn previously and made them feel faster and more confident in their performance. The Speed 6 Elite provides the protection they need for longer distance and marathon running. We look forward to our Skechers Elite athletes putting them to the test in competition. Thomas: Do you think the Speed 6 Elite can compete with the best distance running shoes out there and why? Kurt: No doubt. 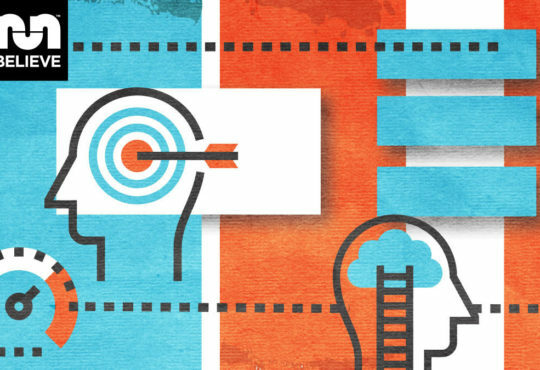 We spent nearly a year iterating and testing prototypes in and out of the laboratory. 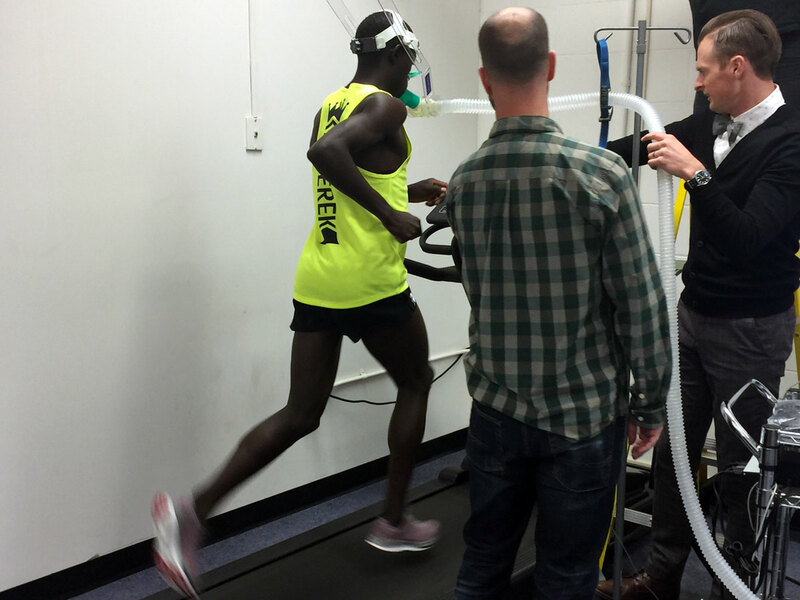 The VO2 max test results achieved, in particular, by our elite athletes (including Edward Cheserek) gave us the confidence that the Speed 6 Elite is competitive with the best distance racing flats on the market. Thomas: Will the Speed 6 be available to the public? Kurt: Our goal in creating the Speed 6 Elite was to provide our Skechers Elite athletes with a racing shoe that gave them a competitive advantage and confidence needed to compete against the best in their field. Though we don’t currently plan to offer the Speed 6 Elite to the public, we do continue to offer an assortment of shoes under the Skechers Performance division that meet the demand for speed, comfort, and resiliency—especially with the new Razor 3 Hyper that also features Hyper Burst foam, launching this winter 2018-2019. Thomas: What have you learned from the Speed 6 Elite that will help you develop new shoes in the future? Kurt: It’s just how pivotal Hyper Burst is as a solution in designing lighter weight running shoes that are more resilient. This unique foam helps us approach new challenges within the industry, and helps us create more shoes that can compete. Expect to see a lot more products featuring Hyper Burst in the future as we continue to advance our designs moving forward. Thomas: Where do you think the future of running shoes is headed? What will be the trends 5 years out? 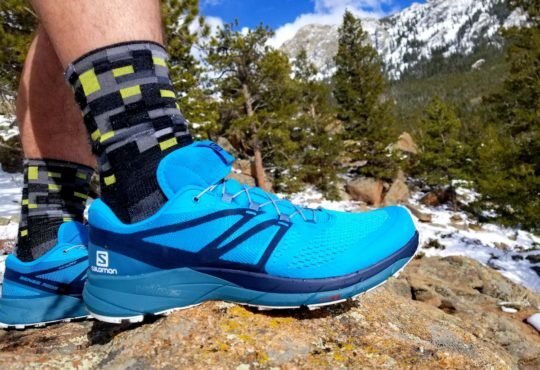 Kurt: The running industry is constantly evolving, and Skechers Performance is up to the task to continue to focus on the pure solutions that address the needs of runners with the latest technologies and best materials. We’ll continue to create footwear that feels lighter, more comfortable and more resilient – without sacrificing the shoes’ structure and performance. 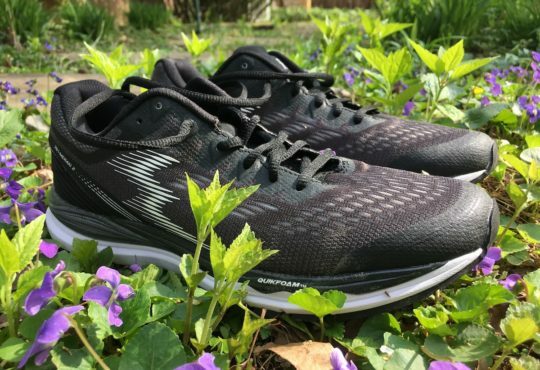 Thomas: In your opinion, what is the top Skechers performance trainer for the average runner? Kurt: The Skechers GOrun Ride 7 is the most talked about model at the moment due to its extreme comfort and versatility. 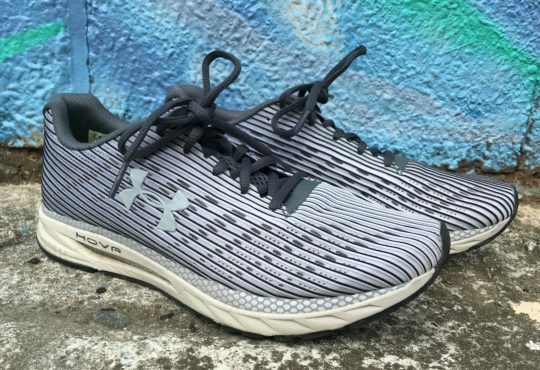 However, the Skechers GOrun 7, launching Spring 2019, is sure to be the center of conversation as it brings Hyper Burst to the average runner – increasing the cushion in the cherished GOrun style, without making the shoe heavy. Put the stripe colorway on the general market. It will sell.